Productivity (alluvium of soil of 1 category): 300 m ³ for change. 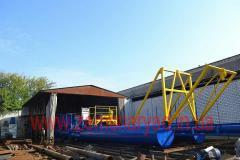 Sizes: length is 8 m, width is 2,2 m, height is 2,5 m. Weight: 4 tons. 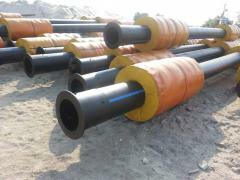 Pipe length of vsas - 7 m, with hydraulic washing-out (giving of 30 m / cube in hour of water at pressure of 70 m, pump output of 7 kW). Engine: D-240 (100 p/a, fuel usage - 8 l/hour, rotating speed - 1500 RPM). Pump: GRAU 160/30. Technical characteristics of the pump: exit of soil of 10-30% an hour, pressure of water column - 30 m, move power - 32 kW, rotating speed - 1500 RPM. The dredge of this modification lifts soil from depth of reservoir of 0,4-6,5 m, pushing through on the slurry pipeline to 400 m. Diameter of the pipeline: 125 mm. Power supply: autonomous. The movement by means of winches - 4 engines on 0,7 kW. 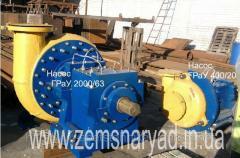 The term of after-sales service of the equipment - 1 year or 1800 motochas. The Kherson plant on production of VVV-Spetstekhnika dredges specializes in construction of dredge-pumping shells of the NSS brand to posoglasovanny projects with the Register of navigation of Ukraine, re-equipment and modernization of dredges of any brand. At the enterprise guidance system of quality of ISO 9001:2008 concerning construction, re-equipment, modernization and remontasud, korpusnykhkonstruktion, sudovogooborudovaniye and zemslesosny shells is implemented. The dredge (dredge-pumping shell) is watercraft for underwater development and dredging, extraction of different materials (gravel, sand, sapropels, precious metals, etc.) from bottom of different reservoirs. Besides, the enterprise has the Certificate on compliance to predpriyatiyatrebovaniye of the Register of navigation of Ukraine for implementation of construction, re-equipment, modernization and remontasud, case designs, shipboard equipment. The enterprise makes dredges of different productivity - from 15 m ³ / hour to 650 m ³ / hour pogrunta and depths of development - 0,5 to 22 from water surface. At the moment the model range of NSS dredges is provided in 9 osnovnykhseriya, 64 modifications that allows to offer our clients dredges most satisfying them to requirements and tasks. For the purpose of protection of copyright of the produced products, the Enterprise registers results of own intellectual creativity in the State register of patents of Ukraine for useful models. Today the VVV Special Equipment enterprise takes firm position in the market of production of dredges and has faultless reputation not only in Ukraine, but also in the countries of the FSU and beyond. The enterprise delivers the equipment to customers from Russia, Belarus, England, France, Nigeria, Congo. 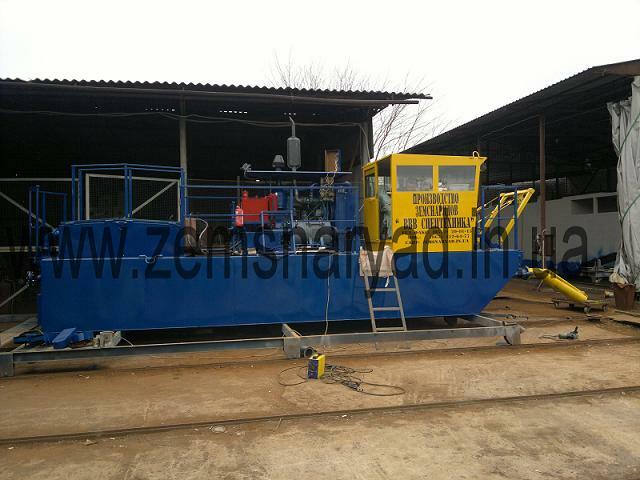 The enterprise manufactures dredges on own projects. At the same time development of the special project and production of the equipment taking into account the industry of production of the enterprise - the customer and/or range of application is possible. Specialists of the enterprise instruct representatives of the enterprise - the customer to work on dredges for the purpose of the correct operation of the equipment, observance of technology norms and achievement of the maximum effect at excavation. The VVV-Spetstekhnika enterprise also provides the following services: rent of the dredge, dredging, soil alluvium, sand alluvium, cleaning of reservoirs. 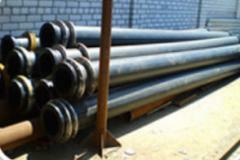 Unbelievable price on NSS 160/30-GR dredge. 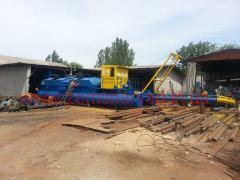 Dredge-pumping shells in Kherson (Ukraine) company VVV Specztehnika, ChP. The slurry pipeline coastal/floating to zemsnyaryada, with a diameter from 80 to 400 mm, floating and coastal.